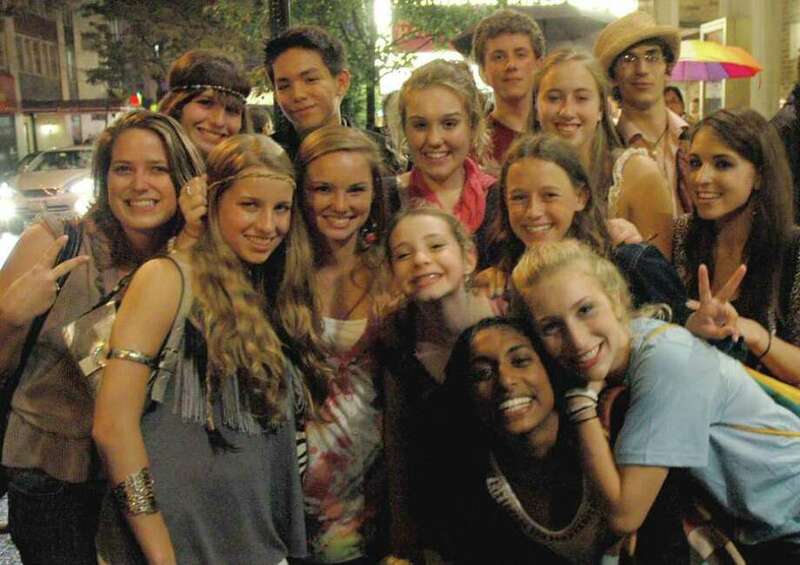 Summer Theatre of New Canaan welcomes high school aspiring actors. The summer Theatre of New Canaan announces auditions and application for its upcoming summer programs. Auditions are happening for a new junior acting company for middle school-age students part of The Summer Theatre of New Canaan. Now in its eighth year presenting professional summer theater family shows and providing quality educational programs, STONC also is accepting applications for its High School Apprentices and College Interns. STONC is offering this three-week musical theatre program beginning July 11 through July 29. Junior Company is limited to 30 students who will rehearse and then perform Disney's "Camp Rock" to a public audience July 29. Performance will be on STONC's summer stage at Waveny Park. The Junior Company rehearses Monday through Friday in the afternoons the first two weeks at the Summer Theatre rehearsal spaces in The Performing Arts Conservatory of New Canaan and then onstage the final week in Waveny Park, New Canaan at the Tent Theatre. Students auditioning should bring a song they would like to sing, wear comfortable cloths to dance in and a picture and a resume if they have one or an information page with their theater experience or interests. Auditions will take place at The Performing Arts Conservatory of New Canaan, 237 Elm Street, New Canaan, Saturday April 9, from 3 to 6:30 p.m. Tuition for three-week program is $675 with some need-based scholarships available. For more information vistt www.stonc.org. E-mail info@stonc.org. STONC's high school apprentice four-week theatre intensive program is now accepting applications. Program offers six hours of master classes and workshops daily taught by theater professionals and performance and work opportunities with professional staff and artists with the Summer Theatre of New Canaan. The high school apprentice program will run from June 27 through July 24 with a performance for an invited audience on July 24. Core training topics will include: ensemble building, voice and movement, acting, Shakespearean verse, theatrical clowning and self discovery, musical theatre techniques. Master classes may include mime, dance styles, juggling, techniques, singing, storytelling, commedia del'arte, directing, adapting narrative for performance, performance of poetry, stage management producing, design elements of set, costumes, lights, musical theatre auditioning, creative drama/teaching children and headshots. Apprentices will also have the opportunity to stay another two weeks through Aug. 7, should they be cast in the musical, children show or hold technical show or administrative roles. Tuition for the 4 to 6 week program is $1,500; some need based scholarships available. For more information visit www.stonc.org. E-mail Christian@stonc.org.